We have been running Halalfocus for over 10 years. In that time, we have seen the entire Halal Market expand and diversify into a fully-fledged ecosystem. From the realisation that food is a ‘farm-to-fork’ operation, to the emergence of further market subsectors like personal care, cosmetics, pharmaceuticals and more. 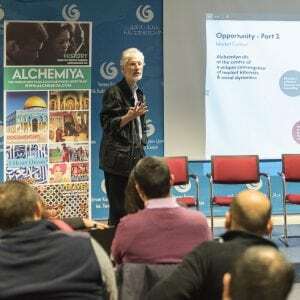 We have seen the development of the broader Islamic Economy, bringing together food, finance and a whole range of Muslim Lifestyle sectors such as family-friendly travel, modest fashion, art, culture and digital media. What emerges is a new paradigm that brings together faith and commerce, where the choice of which goods and services we use is filtered, accepted or rejected by what we believe. Furthermore, we have recognised that this is not a phenomenon that is limited to the Muslim Lifestyle markets. The rising tide of concern for our collective well-being has generated a range of ethical and moral initiatives such as Conscious Capitalism, Impact Investment and other socially conscious movements that focus on the well-being of others as much – or even more – than the health of the bottom line. This is a profound shift in global awareness. It is no longer acceptable simply to maximise profits for business owners and share-holders. We must be aware of and concern ed for all the elements in the ecosystem of our commercial enterprises. Investors, the executive team, the support staff, suppliers and customers are all equally important, and they all deserve our best attempts to ‘get it right’. With the added realisation that what we watch – consume – with our eyes and ears and imaginations is just as important as what we put in our mouths, supporting video-on-demand operator is a natural extension of our work on HalalFocus. 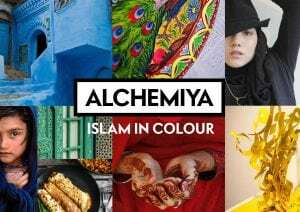 Alchemiya’s purpose is specifically to offer inspirational content that reflects the rich culture of the Muslim world…Not to teach or preach, but to inspire! simply to show the creative excellence that is at the heart of the Muslim faith. Let’s spread messages of peace! Starting here!